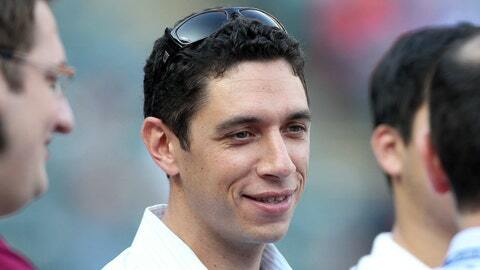 ARLINGTON, Texas — Spring training starts in a little more than three weeks but Texas general manager Jon Daniels believes there are still plenty of moves to be made. Those moves just may not involve the Rangers. "I think it’s coming out of a dead period in some ways," Daniels said Saturday at the team’s Fan Fest. "We had about a month between major league deals. (Shin-Soo) Choo until the last round with (Grady) Sizemore and (Eric) O’Flaherty and (Grant) Balfour, some of these deals that are getting done now. There are still a lot of free agents out there, probably more than typical. This might be the new normal the way the market is going." Daniels said he believes the Rangers can fill any holes they have position wise internally but that the club is still monitoring the pitching market. That market could heat up now that Masahiro Tanaka has signed with the New York Yankees. "That’s our top priority now is to find some pitching depth," Daniels said. "I mean guys that can help our big-league club. We would have been looking for that this time of year anyways before Derek (Holland) got hurt but that changes things a little bit."